Skip to content Try it for Free! As your teaching company grows, you will need to start delegating tasks to your teachers and other employees. Assigning tasks is the easy part, tracking teacher tasks and keeping track of the ones that have been completed is a little more challenging. We understand teaching businesses, this is why we’ve recently added a Task Manager add-on to Teachworks to help you with this. 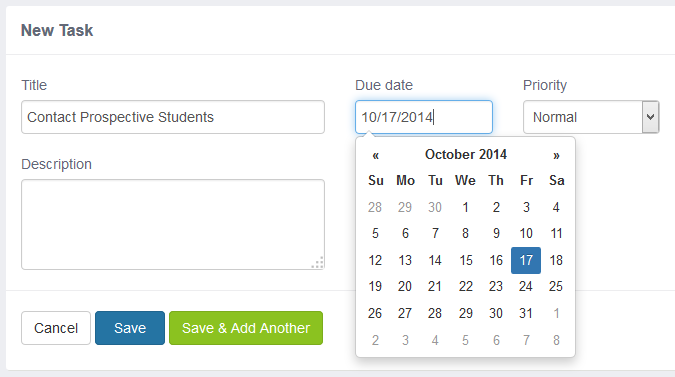 This add-on allows you to assign, manage and track teacher/ employee tasks. The add-on allows admins and staff to assign tasks to employees and allows employees to create tasks for themselves. Assigned tasks can be viewed in the Tasks table which can be filtered by task status and date. Tasks include a title, description, due date, and priority level. The add-on also allows you to assign tasks to a single employee or to multiple employees at once. Once a task has been assigned, employees can update the status to “In Progress” when they begin working on the task and “Completed” when they’ve finished. The Teachworks task add-on allows you to give your employees autonomy to complete these tasks on their own time. It also organizes them in order of priority, so your team can always be in sync. To find instructions for enabling and using the Task Manager add-on, read this Knowlege Base article: Task Manager.